So this past weekend we had ourselves an Italian Christmas. On Christmas day when we got to my parents' house to spend the afternoon of Christmas and the next day with them, we had manicotta, which by the way is so delicious! And usually with this we have garlic bread, but my mom realized she forgot the bread and being Christmas there was nothing open. So instead she and Emery baked some bread. And it was delicious. So delicious we decided we needed the recipe here. 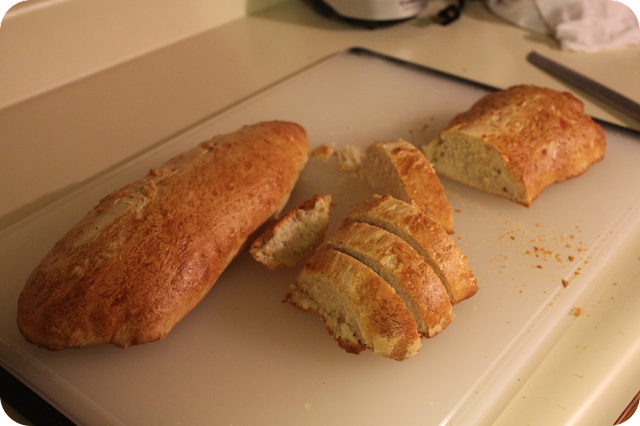 And so yes I baked some bread today - not the bread that they made but still some very delicious bread. I found a recipe online and instead used the bread maker that I have been borrowing from my parents but have yet to use until today. But we can't just have bread, so I decided to make angel hair pasta with butter and Parmesan cheese and a little bit of dried basil. And halfway through my bread making I remembered that I had favorited on pinterest the recipe for the dipping sauce from Carrabas, which I am completely in love with. And the best part about this meal? I had all the ingredients so it cost me nothing to make me - or at least nothing this time. So I guess we should get on with it - there's a lot to go through today. So I'm saying sorry now for the long 'How to Boil Water,' but I hope you enjoy! Angel Hair Pasta - Duh! 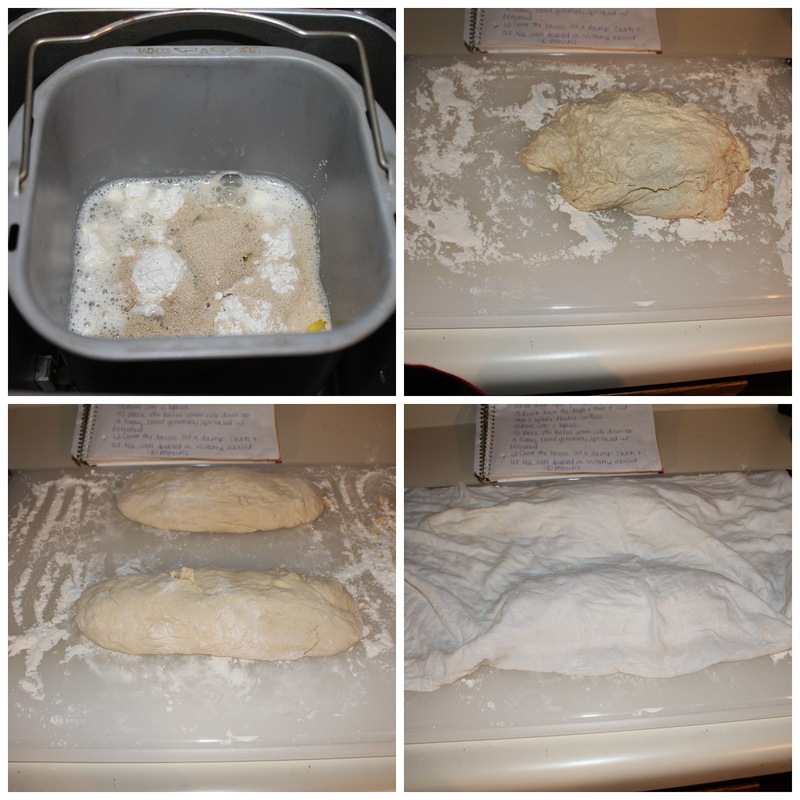 Place flour, brown sugar, warm water, salt, olive oil, and yeast in pan in the bread machine. Punch down the dough & turn it out onto a lightly floured surface. Cover the loaves with a damp cloth and let rise, until doubled in volume about 40 minutes. In small bowl, beat together egg and 1 tablespoon water. Brush the risen loaves with egg mixtures. Make a single long, quick cut down the center of the loaves with a sharp knife. Gently shake the cutting board to make sure that the loaves aren't sticking. If stuck, use a spatula or pastry knife to loosen. Slide the loaves onto a baking sheet with one quick but careful motion. Bake in preheated oven for 30-35 minutes or until loaves sound hallow when tapped on the bottom. Mix all the ingredients except the olive oil and lemon juice in a food processor until all the pieces are about the same size. Serve on a plate, pouring more olive oil over the top. Stir in butter into pasta. Stir in cheese and basil, until you have the desired mixture. So I cooked for hours. I started the process at 4:30 and we finally sat down to eat at 7-something. So let's just say that this meal won't happen all that often at all. 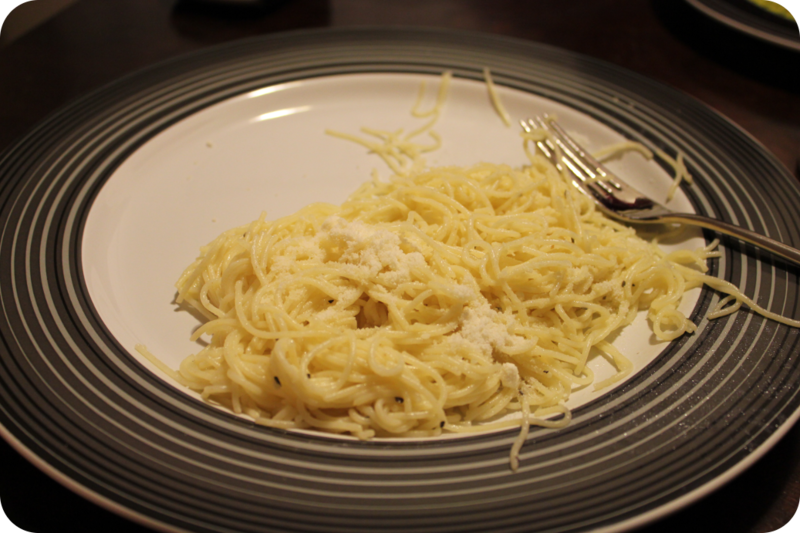 Well, the pasta was super easy and I really like it, but the bread took the better part of the afternoon and evening. And it was all definitely good. I hope to get to try out making more breads. Maybe cinnamon rolls next? I have a recipe book with that bread maker and those sure do sound good. But for now, I'm stuffed and can't think about eating anything else....well, maybe my mom's apple pie but there's always room for that!